So where is that Santa Claus rally investors and pundits have been speaking about? Santa is coming soon but what about his stock market rally? There are only 4.5 trading days left in December! Let’s get busy Santa. And what about Jay Powell’s statement last Wednesday upset investors so much? Partial Government Shutdown? Tariffs…Brexit…These are just a few of our favorite topics we’ve been discussing lately. These last several months may have rocked the boat for markets and investors alike but it doesn’t necessarily mean our rally is coming to a close, at least not yet! December hit and with only a few trading days left we are on track for another negative month. Between 1980 and 2018 U.S. Markets experienced 36 corrections, or about one every year. A correction is defined as a market decline of 10% or more from a recent high. One of the few indices that have been up in 2018 has been the VIX. The VIX Index, often referred to as the “fear index”, represents the market’s expectation of 30-day forward looking volatility. It doesn’t take an Economist to figure out from this trend that investors are nervous (duh!). The Index started to increase in 2010 and anxiety increased along with it. Investors have been waiting for the shoe to drop ever since. 2008 has all but faded from recent memory and the truth is that we have just experienced the longest running bull market in history. But are we moving backwards now? Are we heading into a recession? None of the economic factors currently indicate that. Point taken Mr. El-Arian. So what should you do with your portfolio in light of all of this volatility? Move to cash? Increase bonds? Buy alternatives? Utilize options? Buy more stocks and bonds? Nothing? Of course, there is no one-size-fits-all solution, but in practice, using a strategic asset allocation (i.e. a diversified mix of investments spread out amongst many different categories: large companies, small companies, mid-size companies, international, fixed income, alternatives and cash) has proven to lessen volatility over the long haul. In the world of professional money management corrections are often used to rebalance portfolios, redistributing money to asset classes that have been underperforming, effectively buying in at low valuations or “on the dip” while selling out of positions that have typically done well (i.e. sell high/buy low mentality). Using this philosophy has helped us grow in good times and protect portfolios during market declines. This last chart below shows the benefits of diversification. Most major indices were down with the exception of bonds this month (December 1, 2018 - through December 21, 2018. Chart courtesy of Koyfin). By using a proxy for a diversified portfolio (Vanguard Lifestrategy Growth Fund – VSMGX), we can show how a mix of 60% stocks and 40% bonds held up compared to the rest of the market. And while this balanced fund is not the best performer of the month, it looks pretty good when stacked up against other major market indices. Staying the course and rebalancing is the most prudent (albeit potentially anxiety provoking) way to tackle the ups and downs of the stock market. Fundamentally, the US economy is still in really good shape. 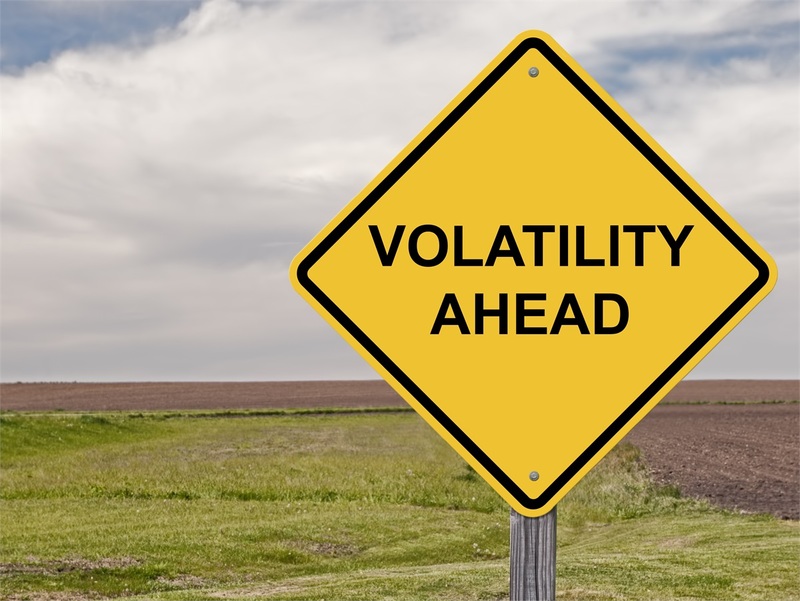 We anticipate growth in 2019 and once we can get past some of the political hurdles, we expect that the volatility will eventually subside. In summary, it’s normal to experience anxiety during these gyrations. I can assure you that we are doing everything we can to mitigate and minimize volatility. We started taking steps months ago to rebalance portfolios and added funds to help reduce risk and volatility. Using sound investment principals and a team of well-qualified investment professionals who we work with on a daily basis, I am extremely confident that we are well-equipped to navigate these choppy waters. If you are experiencing anything more than some mild uncomfortableness and want to discuss your portfolio, please reach out to me or anyone on our team so we can set up a time to talk. May this season bring you joy, happiness and peace amongst all of your family and friends. Happy Holidays, Happy New Year and we look forward to seeing you in 2019! Goldman Sachs (Tousley, J. CFA). (2018). Market and Economic Perspectives: Pressure Points. New York: Goldman Sachs Asset Management.